An Argument To Prioritize "Positively Shaping the Development of Crypto-assets"
The macro goal of this post is to get more conversation started around the intersection of blockchain and effective altruism. Hopefully this will help the EA collective intelligence determine how much to prioritize blockchain. Specifically, I would like to make the claim—”Positively shaping the development of blockchain/crypto” has high expected value and should be highly prioritized as a cause for effective altruists. Note: I am relatively new to “formal” effective altruism and rationalist discourse, so please: a) Eviscerate my arguments b) Work with me on the “process level” to make better arguments going forwards. Thanks! I will use the same prioritization framework that 80,000 Hours (and others) have used—Neglectedness, Impact, Tractability (NIT). One note before I begin: I’m moderately incentivized to believe that this claim is true because I am an effective altruist, am working in blockchain, and would like my moral direction to be aligned with my professional direction. Blockchain could be a crucial piece of a macro systemic phase shift that could solve coordination problems and prepare us for upcoming problems associated with increasingly large/fast technological change. However, this phase shift is incredibly unlikely and tricky to execute, so it could make more sense to concentrate on more clearly impactful/solvable problems. There are a couple of different ways to look at the impact of positively shaping blockchain. Humans create new technology that has immense impacts on society. Profit-motivated incentive structures (not EA-/QALY-motivated structures) define how that technology is developed. The EA community should bring the EA perspective into any new technology with humanity-level scale. Blockchain is a high-impact technology, therefore EAs should be part of shaping it positively. I like to think about this from a counterfactual historical perspective: if EAs were more directly involved in shaping the industrial revolution, the internet, or AI, then we may be “less far behind” at solving the externalities of the profit-driven companies like climate change, attention design, and AI alignment. So, is blockchain going to have a large impact on society? It depends on how you measure this and who you ask :). I’m not even sure what types of articles to add here. For now, let’s still sticky this as “up for debate”. Note that this point holds for any new technology, not just blockchain. e.g. As biotechnology enters society, we should have the EA mindset in the top companies, evaluating externalities/game theoretical problems, and baking solutions in from the start. The high-level idea here is that blockchains are a new kind of “Organizational Technology” that enables new kinds of coordination and motivation. 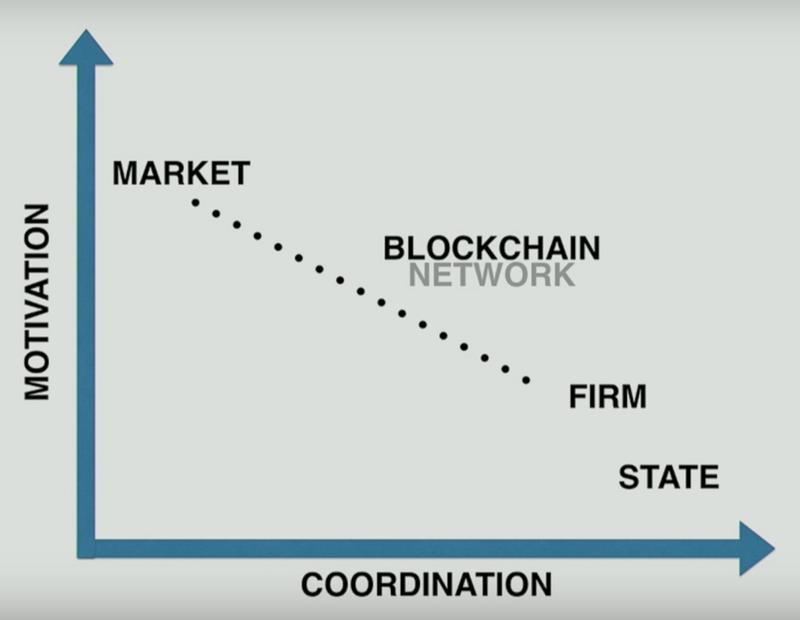 I’m using Albert Wenger’s term Organizational Technology to discuss macro organizational structures like states, markets, firms, networks, (and now) blockchains. See the image here (or his whole talk). Humans create new Organizational Technology that has immense impacts on society. Profit-motivated incentive structures (not EA-/QALY-motivated structures) define how that Organizational Technology is developed. The EA community should bring the EA perspective into any new Organizational Technology with humanity-level scale. Blockchain is a high-impact Organizational Technology, therefore EAs should be part of shaping it positively. Again, we can think from a counterfactual perspective: if EAs were more directly involved in shaping nascent Organizational Technology like states, markets, firms, or networks, then we may be “less far behind” at solving the negative externalities of those Organizational Technologies like xenophobia or capitalism. As one example of Organizational Technology in action: the Organizational Technology of internet-enabled “Networks” (namely zero transaction costs) enabled a new set of massive monopoly tech giants to form (Ben Thompson calls them Aggregators). However, one of the affordances of blockchain as an Organizational Technology is the ability to diminish the network effects of aggregators, allowing for companies to compete where there was previously no leverage. It’s also worth noting that “blockchain as Organizational Technology” is also part of a larger macro trend of “Teal” as an Organizational Ideology. The idea here is that companies have structured themselves differently over time. They used to be results-driven machines (Orange), then transitioned to culture-driven families (Green), and are now relationship-driven organisms (Teal). Teal organizations are a reaction to complex 21st century problems, and operate in a bottom-up decentralized fashion. Teal is the company-specific version of the macro trend where we’re moving away from “Cores” (that operate as traditional top-down institutions) and towards “Crowds” (that build and leverage the 4B networked community of smartphone users). EA Grants are a great example of the EA community using this trend (crowd-sourcing applicants for funding). Note that this point (blockchain as Organizational Technology) strengthens the point above (that blockchain is an impactful technology). If a new technology is also an Organizational Technology, it is likely to be more impactful. The high-level idea here is that the appreciation of cryptocurrencies redistribute/create substantial amounts of wealth. Though it’s possible to look at this wealth from a macro perspective (by looking at the total market cap of cryptocurrencies around $300B), I find it much more powerful to look at individual cases. At the end of 2017, MIRI raised $2.5M, 66% of which was from crypto (and Vitalik!). There’s a wealthy Bitcoin investor who is donating $86M to charity, and they gave $5M to GiveDirectly at the end of 2017. It’s difficult to say exactly how much money is “at stake” here, but we can look at this in a similar way as something like the Founders Pledge. i.e. Startup founders can make lots of money from an exit, so let’s get them to donate that money to effective charities. Founders Pledge has $412M USD pledged across 1123 individuals. Though the Pineapple Fund is clearly an outlier, that person gave $86M USD (with Bitcoin at $16,500) across a single individual. It would likely be a high leverage opportunity to get even .1% of the blockchain community to take some sort of CryptoPledge to give their new wealth to charity. This claim is a bit more nuanced (and generally less likely but higher expected value). It’s broken into two parts. The first is that blockchain-based disintermediation will create lots of white-collar job loss, which will lead to political unrest. It’s a very similar argument to AI-based automation leading to (primarily) blue-collar job loss. This idea (where a new technology restructures society) is called a “Creative Destruction Externality” (see this explanatory gif). Like with AI, it’s difficult to know exactly how much the workforce will shift as a result of blockchain-based disintermediation (though many large centralized institutions, like banks, may be at risk). The second claim is at a more macro level. If #1 (blockchain is a powerful new Technology), #2 (blockchain is a new Organization Technology), and #3 (crypto redistributes wealth) are true, then we will likely see a large power shift in how society is structured. Large, quick transitions of power (especially at the nation-state level) create unstable conditions more likely to lead to war. If a transition happens away from nation-states (and other traditionally trusted centralized institutions like banks and academia), we’d love to make it as smooth as possible. On the Organizational Technology side: just as massive networks like Facebook and Google shifted power away from existing Organizational Technology (like nation-states), we could see blockchain-enabled protocols shifting power away from networks, nation-states, etc. (In fact, this is a much more intentional goal of blockchain and crypto. They’re actively trying to take away power from nation-states, by, for example, giving non-nation-state actors the ability to create currency.) In parallel with the new macro power shift around Organizational Technology, we also might see a shift at the individual wealth level (which is highly correlated with power). Though this is less studied (as far as I know), I would expect some sort of instability as a result of changes in individual power dynamics. Traditionally, EAs haven’t up-prioritized the “fragility from job loss” aspects of AI (because we’re more worried about AI alignment and the long-term future). However, the claim here is that this blockchain-influenced power shift is on a different order of magnitude (because we’re changing deeper primitives like money). When we look at a prioritized cause selection list (e.g. 80,000 Hours’ list), we can bucket the problems into the “generative function” that causes them (you can also think of this as the “root cause”). When we apply this “bucketed generative function” to 80,000 Hours’ cause selection, we get the following buckets: Game Theory Problems, Meta Problems, and Empathy Problems (see the image below). Each of these take the form: “if you could solve the generative function, then the problems in that bucket get solved”. For example: If we “solved” the Empathy Problem by having perfect “abstract empathy”, then we would not have problems like Factory Farming (where tens of billions of animals suffer every year because we do not empathize with them enough) or Developing World Health/Smoking in the Developing World (where billions of humans suffer every year because the developed world doesn’t empathize with them enough). Now let’s look at the Game Theory bucket. These are coordination problems that arise from game theoretic incentive structures. Risks from AI, Biosecurity, and Nuclear Security are all “Arms Races” and Climate Change is a “Tragedy of the Commons”. If we were able to solve all Game Theory problems (e.g. the 14 from Meditations on Moloch or these 7 from Bret Weinstein), then that would solve all of the sub-problems. So, instead of solving one x-risk and losing to the rest, let’s solve them all! Another way to think about this (especially from a long-term future perspective) is that solving game theory will allow us to solve all of the x-risk problems we don’t even know of yet (but will come increasingly quickly as we have massive distributed exponential technological change). On distributed exponential technological change: We think that improving the decision-making competence of key institutions may be particularly crucial, as the risks we face as a society are rapidly growing. With technological developments in nuclear weapons, autonomous weapons, bioengineering, and artificial intelligence, our destructive power is quickly increasing. Crises resulting from war, malicious actors, or even accidents could claim billions of lives or more. On moving to the meta-level: When we think about doing good in the world we usually think about solving specific problems, and doing so better than existing institutions and organisations. But you could also improve the world in a different way: by making it easier...to solve problems...One advantage of this approach is that, if successful, it could enable humanity to better tackle many different problems – including those we haven’t even noticed yet. We can generally think of this as “solving coordination problems”. Though there are many aspects to solving coordination problems, we can primarily bucket them into: decreasing the costs to coordinate and increasing the desire to coordinate. There are a couple different reasons why blockchain decreases the cost to coordinate. First, at an abstract level, smart contracts allow for strong precommitments in the absence of trust. Essentially, this allows rational actors to commit to coordinate if (and only if) the other party coordinates. (e.g. Pay and distribute funds only when n actors have also done so. Like a Kickstarter threshold.) And, smart contracts (generally) do not allow parties to back out of the agreement—it will fire no matter what. This means that once “cooperate” is locked in (e.g. with a climate agreement), you cannot decide to defect later. Platform cooperativism (and protocol cooperativism), which takes the traditional coop model (of distributed governance and ownership) and applies it to new technology platforms/protocols (e.g. Uber that is owned and governed by the drivers and riders). Tokenize the Enterprise, which takes a traditional tech company (like Facebook) then distributes governance and ownership among platform stakeholders, which (in theory) increases long-term profits because of incentive alignment. By decreasing the cost of distributing ownership/governance, we can now rewire the incentive structures to be more in-line with all stakeholders. When we apply this to massive tech platforms, we begin to turn them into public utilities. Then the price of the remaining ETH that you hold increases. What this means is that rational actors are actually financially incentivized to support public works (diminishing Tragedy of the Commons). Two quick caveats: First, this is not technically different than how it works with nation-state fiat. I could hold USD, fund an awesome new public transport system in the US, then the value of my USD could increase as a result of demand to live in the US, etc. However, crypto allows us to do this at a micro scale (and quantity has a quality in and of itself). Second, this does not actually “break” Tragedy of the Commons. A rational actor would still be incentivized to let someone else fund the commons, hold their ETH, and then reap the rewards once the infrastructure has been built. However, the financial incentives (from a micro economy) do “diminish” the tragedy of the commons. The desire to coordinate is based on our 2018 context. We both: a) Have begun to reach abundance (you don’t get happier after $4,000/month!) and b) Are about to experience massive converging exponential technological change (as a result of 4B smartphones decreasing the costs to create value). This context both allows us to think about abundant shared outcomes (we don’t need to compete to get more) and requires us to (because we need to not doing so results in increasing amounts of high-downside coordination problems). Given that context, we can begin to tell stories about a future in which the traditional economically “rational man” does not dominate. Instead, we can push a “super rational” future in which we have abundance mindsets and actively co-evolve towards shared outcomes. If cooperation is encouraged (or expected), then more people will cooperate. Lowers the costs of coordination (given the points above). Is a community of people who are hyper aware of incentives. Is closely related to the open-source community, which already has a mindset of common goods, interoperability, collaboration, and distributed governance/ownership. Is the largest distributed group of people who feel “abundance” (through the rise of crypto prices). They have enough money and have moved up Maslow’s hierarchy of needs to start working for the “greater good”. Given that context, the blockchain ecosystem is a place where we can begin testing ideas that are only possible because of abundance. Coordination ideology (like saying “let’s co-evolve towards shared outcomes!”) wouldn’t have convinced anyone in a developing country in 1968 (because of various scarcity mindsets). However, this kind of ideology may actually (and has been) taking hold in blockchain networks in 2018. ETHPrize: Two ~$250,000 infrastructure grants sponsored by 4 ETH projects (0x, Status, Toshi, ECF). An example stack of Ethereum, Aragon, district0x, and Decentraland (though these projects aren’t direct competitors, they are emphasizing the SharedOutcome). In general, very few people are working directly on the intersection of blockchain + effective altruism. However, there are various EAs working in crypto (TrustToken, Flamingo, Evermarkets, FlareGlobal) There are a good amount of EAs who are interested in crypto (about 400 in this Facebook group). There is also a bunch of overlap at the high level (Vitalik Buterin, Wei Dai, Gwern...see SSC’s A LessWrong Crypto Autopsy). One issue with determining Neglectedness: It’s not really clear what “problem” I’m referencing here. For crypto whales donating to charity, there may not be as much neglectedness (see the Pineapple Fund or Vitalik’s donations). But for something like the Creative Destruction Externalities of a macro power shift, there’s almost certainly more neglectedness. Again, we have issues in differentiating what problem we’re actually referencing. Virally spreading a CryptoPledge to get more funds directed at EA causes is likely a more tractable problem that catalyzing a macro phase shift that solves the generative function of our coordination problems. The other issue with looking at tractability is we have very little data here (because it’s mostly neglected). We haven’t been able to see whether progress is easy, because we (generally) haven’t tried. Smart contract platforms continue to have serious scaling issues (none of the ETH scaling solutions work as planned, and new platforms like Tezos/Dfinity stay in testing). Trust in centralized institutions (nation-states, banks, academic institutions) increases enough to make “exit” less needed/desirable. Governments around the world coordinate to crack down on crypto. Initial tests in the path towards macro systems change fail. The “Cost of Delay” for a different cause increases dramatically. From a “positively shaping AI” perspective, it’s likely some attention should be given to AI + blockchain projects like Ocean (a data substrate layer), SingularityNET (decentralized AI compute), and Numerai (AI hedge fund). 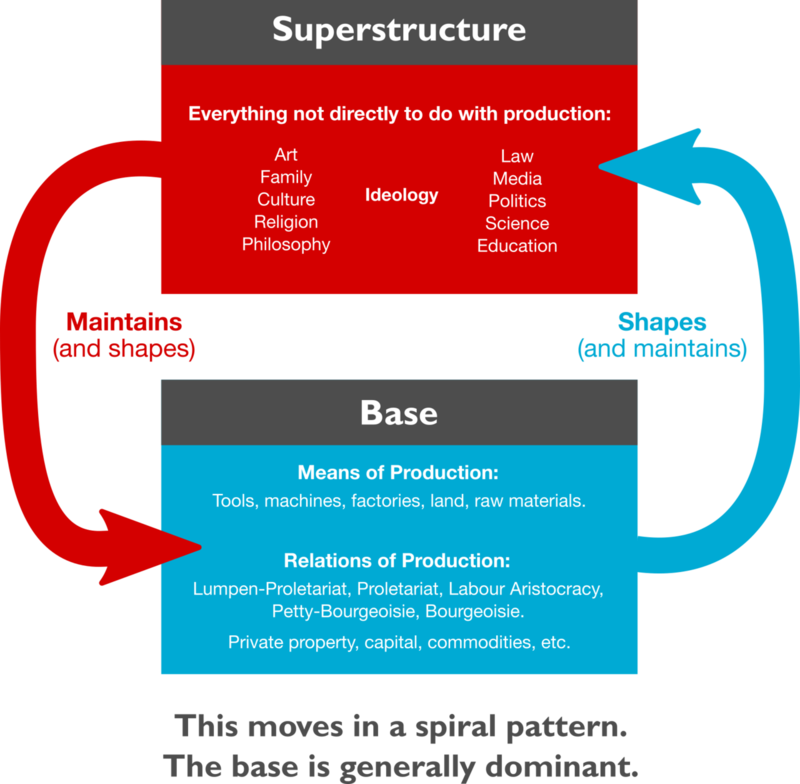 There are some intuitive thoughts that haven’t been fleshed out here, like: what are the emergent properties of programmable money (especially given a status quo of 250 years of traditional nation-state fiat)? And what are the emergent properties of adding a value creation layer/protocol to the internet, thereby democratizing the ability to rewire incentive structures? This argument definitely exists in the realm of complex dynamic systems, which has not (traditionally) been placed under the EA umbrella. In many ways, I’m actually making the claim “we should focus on macro systemic change”, not the claim “let’s positively shape the development of crypto” (crypto is just “how” we do the system change “what”). Thanks again for reading! I’d love to hear your critical feedback. Thanks to Collin Brown, Mike Goldin, John Desmond, Paras Chopra, Harry Lindmark, Colin Wielga, Joe Urgo, Josh Nussbaum, John Lindmark, Jacob Zax, Doug King, Katie Powell, Mark Moore, Jonathan Isaac, Coury Ditch, Mike Pratt, Ref Lindmark, Jim Rutt, Jeff Snyder, Ryan X Charles, Chris Edmonds, Brayton Williams, Patrick Walker, Kenji Williams, Ryan Martens, Craig Burel, Scott Levi, Matt Daley, Peter Rodgers, Keith Klundt, Andrew O’Neill, Alan Curtis, Kenzie Jacobs, and James Waugh for supporting me on Patreon! Thanks to Storecoin, Griff Green, Radar Relay, district0x, Niel de la Rouviere, Brady McKenna, and some anonymous others for supporting me on StakeTree! Follow me on Twitter or sign up for newsletter updates here.